Indie Retro News: Uropa 2 : The Ulterior Colony and Genetic Species - Even more DamienD Amiga CD to HD conversions! 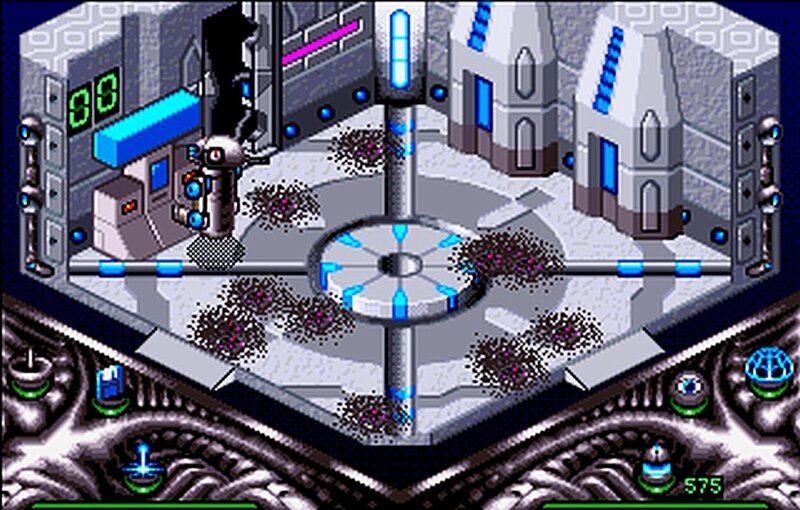 Uropa 2 : The Ulterior Colony and Genetic Species - Even more DamienD Amiga CD to HD conversions! The Amiga is getting a lot of attention lately, as after previously releasing Final Odyssey, The Strangers and Foundation as fully playable Amiga games without the need for the original Amiga CD. DamienD has moved on to Uropa 2 : The Ulterior Colony and Genetic Species, which as of today completes the "Vulcan Software MegaSeries Vol. 1-4" collection first released in the late 90's. Both of these are sci-fi based, whereas Uropa is an isometric adventure, Genetic Species is a first person shooter which has similarities to GLOOM. According to the original publishers Uropa 2 is a sci-fi mission based adventure game, developed in an isometric style, with 3D vector light sourced environments. In it, you play as part of the Tekite warrior based on the moon Uropa2 and must go on covert operations to rescue surviving colonists and wipe out the enemy Kapone Commanders. You can repair and access computer terminals, download information, buy equipment and ammunition with up to 8 different weapons, which can be used against many deadly enemies found in the game. Please note as for requirements, Uropa 2 does require 2MB memory and has been optimised for AGA systems. And that's it for today, remember if you like the news, hit the donate button on our main website to help keep us going!